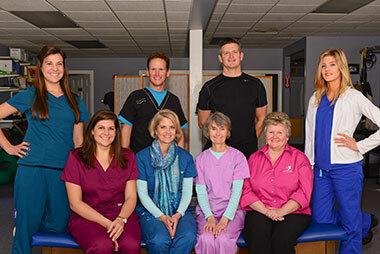 Welcome to Falmouth Physical Therapy! Falmouth Physical Therapy is a privately owned outpatient physical therapy practice, located within the Homeport office complex in Falmouth, MA. 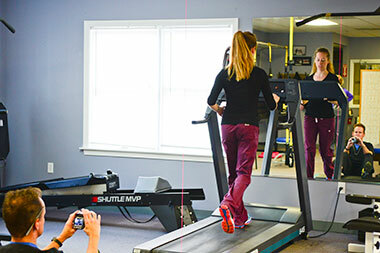 We have been practicing physical therapy since January 1992, when owners Lisa M. Crago-Adams, P.T. and Gus Adams, Personal Trainer, opened the business. Our goal is to get you moving! All our physical therapists are professionally trained and MA Licensed in Physical Therapy. Our physical therapists will meet individually with clients and determine what is the most beneficial physical therapy treatment for your personal physical fitness goal. Whether you are recovering from a sports injury or surgery, we are here to assist you in your rehabilitation! Contact Us today to schedule an appointment and find out more about we have to offer!